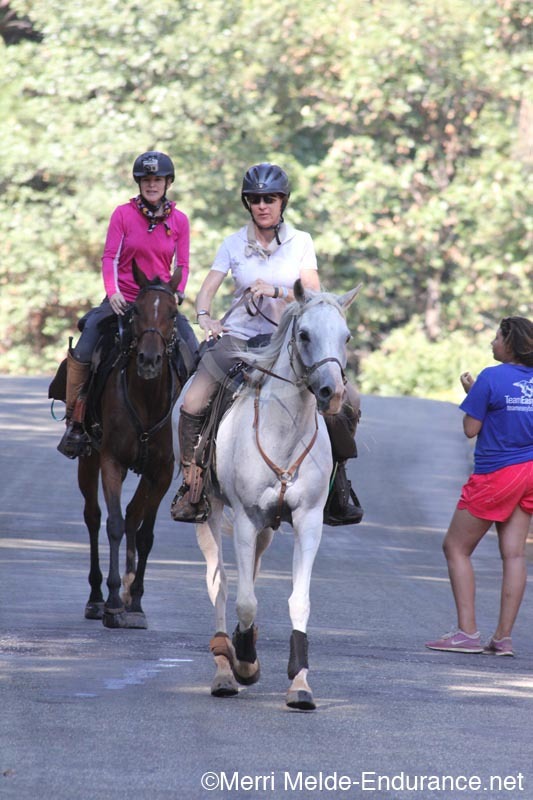 Easyboots cleaned up yet again at the 58th running of the Western States Endurance Ride on July 20, 2013. Jennifer Waitte and Jenni Smith arrive at the Foresthill vet check. Photo by Merri Melde. 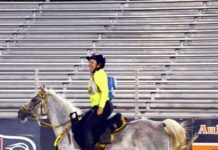 161 riders started the most famous endurance ride in the world at 5:15 AM at Robie Park, a few miles east of Lake Tahoe. High heat and record humidity took its toll on competitors as the day drew on, with a higher rate of non-finishers that usual. Easybooted horses outran the odds again. 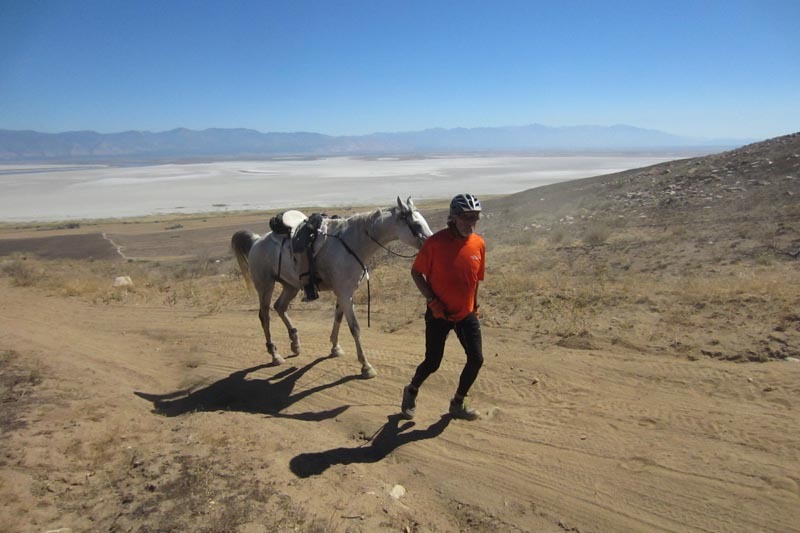 Rusty Toth interviewed at the finish line of the 2013 Tevis. Video courtesy of Auburn Journal. 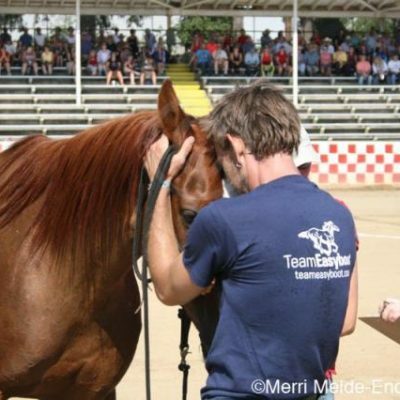 The 2013 Tevis Cup (first place) was won by Rusty Toth and Quake in 14h57. 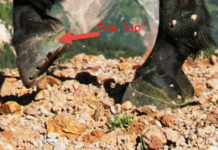 This is the third year in a row for the first place Tevis horse to be wearing Easyboots. 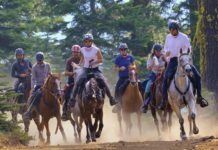 21% of the starting horses were in Easyboots. The first six horses horses to finish were in Easyboots. Seven of the top ten finishers were in Easyboots. Eleven of the top twenty finishers were in Easyboots. 25% of all finishing horses were in Easyboots. Easybooted horses enjoyed a 56% completion rate, compared to a 44% non-Easyboot completion rate. Overall completion rate (all horses): 47%. The last three finishing horses were in Easyboots. 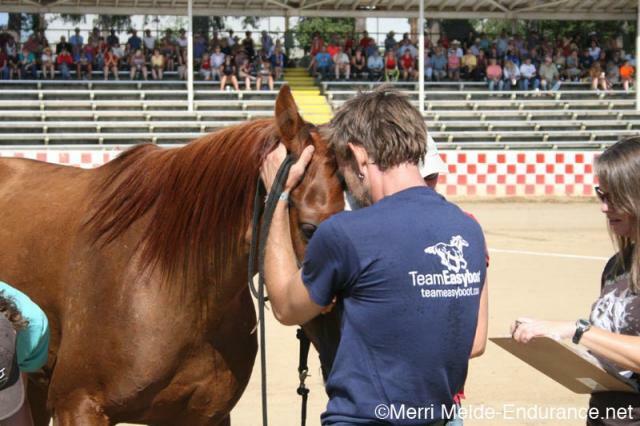 Rusty Toth and Take a Break (Quake) receiving the 2013 Tevis Cup first place award. Photo by Lynne Glazer.